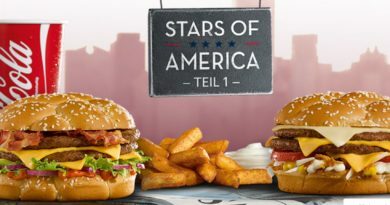 The winner of the McDonald’s Texas Burger Showdown will officially be announced on Monday 27th June, but we can reveal that it is the Lone Star Stack. For those that don’t know, the Burger Showdown was a crowd-sourced build-a-burger competition, similar to My Burger but was only available in the state of Texas. 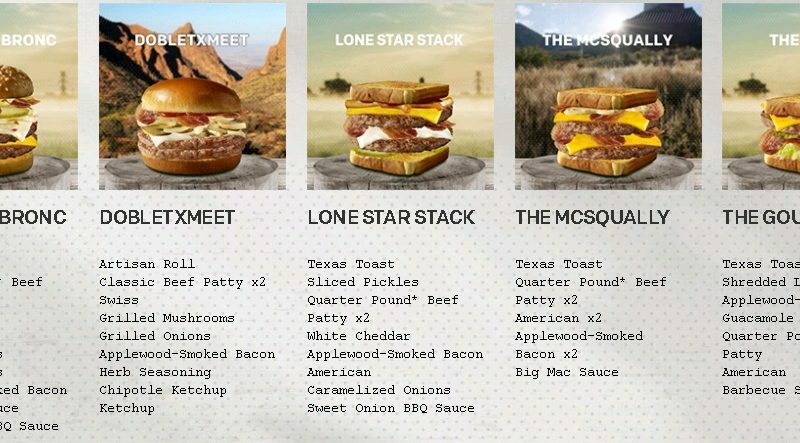 After 25,170 entries and 206,457 votes, McDonald’s Texas narrowed it down to five tasty creations. Premium Bun, Quarter Pound Beef Patty x2, American, Pepper Jack, Grilled Onions, Sliced Pickles, Applewood-Smoked Bacon, Shredded Lettuce, Sweet Onion BBQ Sauce. Artisan Roll, Classic Beef Patty x2, Swiss, Grilled Mushrooms, Grilled Onions, Applewood-Smoked Bacon, Herb Seasoning, Chipotle Ketchup, Ketchup. Texas Toast, Quarter Pound Beef Patty x2, American x2, Applewood-Smoked, Bacon x2, Big Mac Sauce. Texas Toast, Shredded Lettuce, Applewood-Smoked Bacon, Guacamole, Quarter Pound Beef Patty, American, Barbecue Sauce. Texas Toast, Sliced Pickles, Quarter Pound Beef Patty x2, White Cheddar, Applewood-Smoked Bacon, American, Caramelized Onions, Sweet Onion BBQ Sauce. As you can see from the above, three of the five finalists featured a build using Texas Toast as the buns. 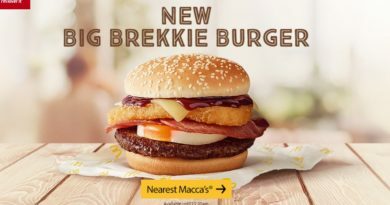 How many light-years do you think it will take for us to see this in the UK? And would you like to see it in this country? Are you travelling to Texas soon? Would you be interested in sampling the Lone Star Stack? Would you like to see the My Burger competition return to the UK? Let us know your comments below and via the usual BURGER LAD® channels. The Lone Star Stack is priced at $4.49 for the Single and $5.49 for the Double. More on the Burger Showdown website here. It sounded great until it got to the BBQ sauce. Just because it has BBQ sauce doesn’t make it Texan. Most of us Texans do enjoy a decent barbeque sauce, but if you don’t want it, I assume you can just tell them to leave it off? Then if you make your own sauce (as many of us do), you can add it yourself. Basically a riff on a patty melt. Nothing new or special. Love the masculinity! I thought this burger tasted great! When they served it to me, the fries were just a liiiiiittle bit burned, which actually made the whole thing taste much better. It’s nice and spicy, it ain’t so much like the other ones that taste more zesty and peachy (which are good) but rather is nice and strong and is more spicy and warm. I would loooove to eat this again. lol.